GATE examination is not only based on the engineering syllabus but General Aptitude also contributes a crucial share. Candidates preparing for GATE are very well known to the Technical syllabus but sometimes lack in the knowledge of General Aptitude syllabus. 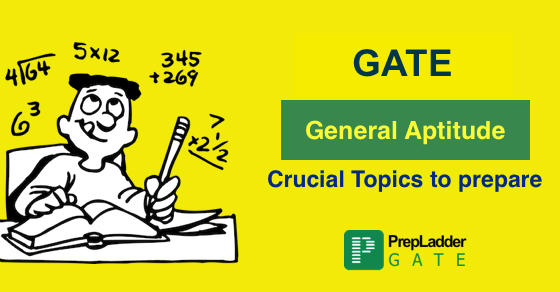 In order to sort out this trouble, Gate- PrepLadder has compiled this article to enlighten the candidates not only about the GA syllabus but also the strategy to prepare for the GATE General Aptitude. GA section is of 15 marks in the GATE exam. GA if prepared is an easy section to score well and raise your score. The article listed the important topics for GATE 2018. 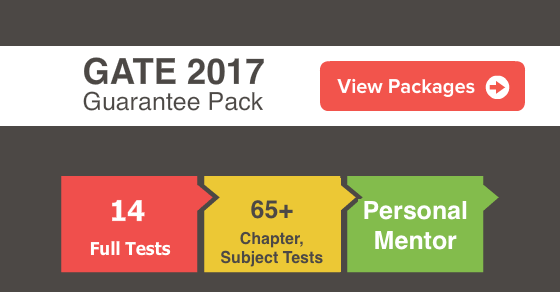 Subscribe for exam updates, free tutorials , free test to your personal email id. Subscribe NOW !! This is an easy scoring section. It is broadly divided into two portions viz. Verbal Ability and Numerical Ability. Verbal ability questions are easy to answer and less time consuming while comparatively numerical ability questions are also easy but time consuming. However with proper knowledge and short cuts, Numerical abilty questions can also be finished quickly. If prepared, candidate can easily score around 12 out of 15 marks of GA. You need to consider the important topics you must be prepared for GATE 2018. After the basic knowledge about General Aptitude of GATE, the following part of the article emphasizes on the strategy to prepare for GA and important topics for GATE 2018. What should be the preparation approach for the GA section? There are several books available in the Market but refer to a book of some renowned author Verbal and Non-Verbal Reasoning by R.S. Aggarwal and Quantitative Aptitude by R.S. Aggarwal. Don’t go for word to word reading and solving every question in the book, Keep a selective approach study the important topics as per the syllabus. Don’t waste time on reading and preparing unnecessary topics, consider the important topics for GATE 2018. Make notes of the important formulae which must be revised timely. Practice all the topic related problems. Practice previous exam papers and take online mock tests and you can also join test series. Well, entire General Ability syllabus can be covered in not more than 15 days. Based on the analysis of previous exam papers, we are sharing the list of expected questions/important topics for GATE 2018 from General Aptitude for you. Sentence/Spelling correction: Questions based on grammatical error correction and also spelling correction are most oftenly asked in the exam. Sentence Completion: Questions based on filling the blanks are also asked in the exam. Verbal Analogies: Identifying the relationship between the given words in the group is one of the favourite topic of the exam setter. Synonyms/Antonyms: Similar meaning or opposite meaning word questions also find their place in the GATE. 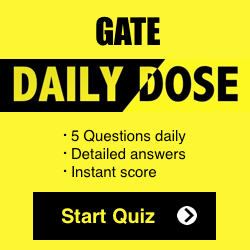 must read : How to crack GATE in 6 months? Arithmetic : Questions based on arithmetic formulae are asked like addition, subtraction, multiplication, and division. Numerical Estimation: Approximation questions are asked. Data Interpretation: Table, Flowchart, Pie chart, etc. based questions are asked. Miscellaneous questions: Topics like Speed time and distance, time & work, profit loss, time and calendars, directions, probability, percentages and mensuration based questions are asked in the exam. These were some important topics you must be prepared for general aptitude for GATE 2018.